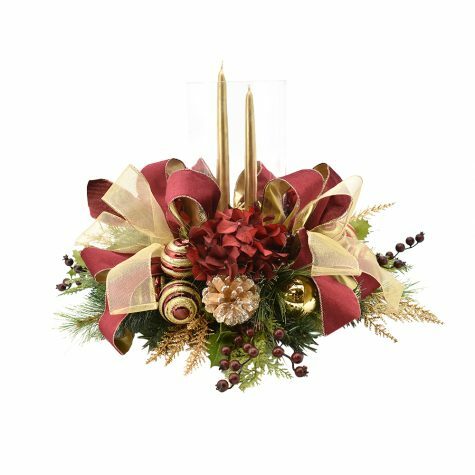 Beautiful burgundy and gold candle holder. 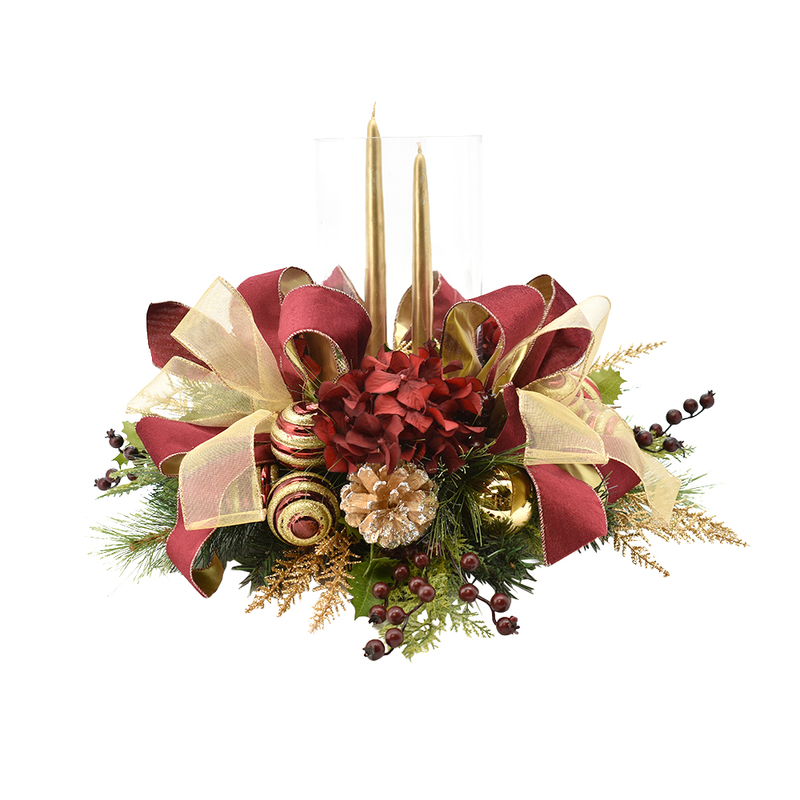 Burgundy hydrangeas, burgundy berries, gold pinecones and glass balls accented. Ribbons and leaves arranged with evergreens.